Hi Bloody. You mentioned the Acer ХВ280НК and using it in 3D. Could you comment on the 3D quality, and what it’s 3D capabilites are? I’ve been reading that it only does 3D at 30hz, but I’m assuming that’s at 4k res? Can the monitor also do 3D in lower resolutions like 2560x 1440? or 1920 x 1080 at 60hz? The Acer ХВ280НК is a 4K G-sync monitor, it is not a stereoscopic 3D capable model and does not officially work with 3D Vision. I’m interested in checking out the Acer XB270HU when available for possible 3D vision compatibility, though it officially does not support it (not licensed by Nvidia). Initially the ASUS ROG SWIFT PG278Q was also not announced as a 3D Vision Ready (prior to it only 1080p 3D Vision-capable monitors were available), but support was included when the monitor was released. 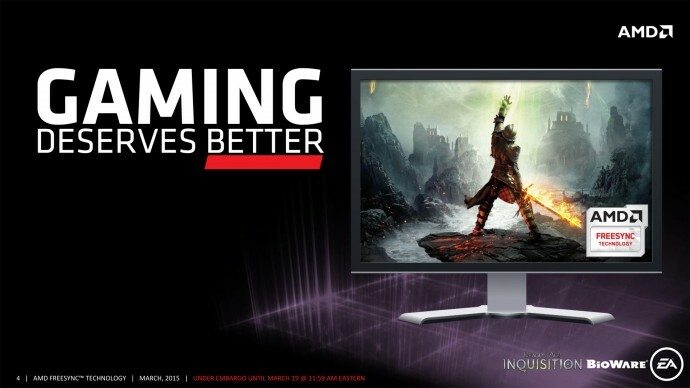 I wonder if the Acer will work with an Asus rog swift monitor dump. I run a sapphire r9 295×2 water cooled , connected to a 32 inch qnix monitor that allows for super virtual resolution , this is linked by display port cable , and I am also running the amd fx 9590 water cooled , with 32 gigs pc19200 of Kingston predator beast ram on an Asus crosshair board .. 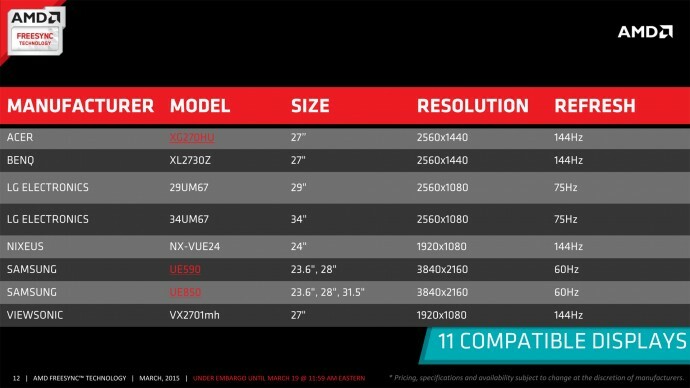 I still get a lot of studdering when crossfired and not crossfired , will this freesync be available on my setup ?